Blue Magic, the latest designer drug linked to a rash of overdoses, might explain the needle mark on the arm of a young woman found dead in her Kansas City apartment. But when Star reporter Rich Azadian digs deeper, the clues point to a far more explosive story: MaryLee Stock was a special protégée of evangelical megapastor and power broker Cobalt Becker, who is poised to deliver his followers and the presidency to a firebrand right-wing senator in the next election. 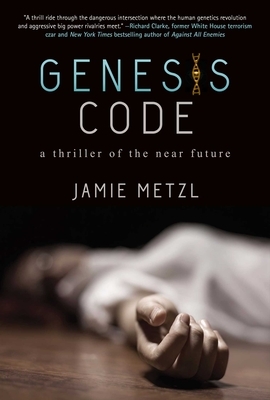 When Azadian sets out to prove that MaryLee’s death was no accident and she may have been carrying Becker’s genetically enhanced baby, the stakes become life itself. In 2023 Americabankrupt, violently divided by the culture wars, and beholden to archrival Chinathe rules of the game are complicated. With the danger mounting, the dead bodies of young women piling up, Chinese agents circling, and the US Department of National Competitiveness moving in to quash his investigation, Azadian’s only option is to go rogue, assemble a team of brilliant misfits like himself, and begin the fight of his life to find out who is killing these women and why, and if any others like them may still be alive.